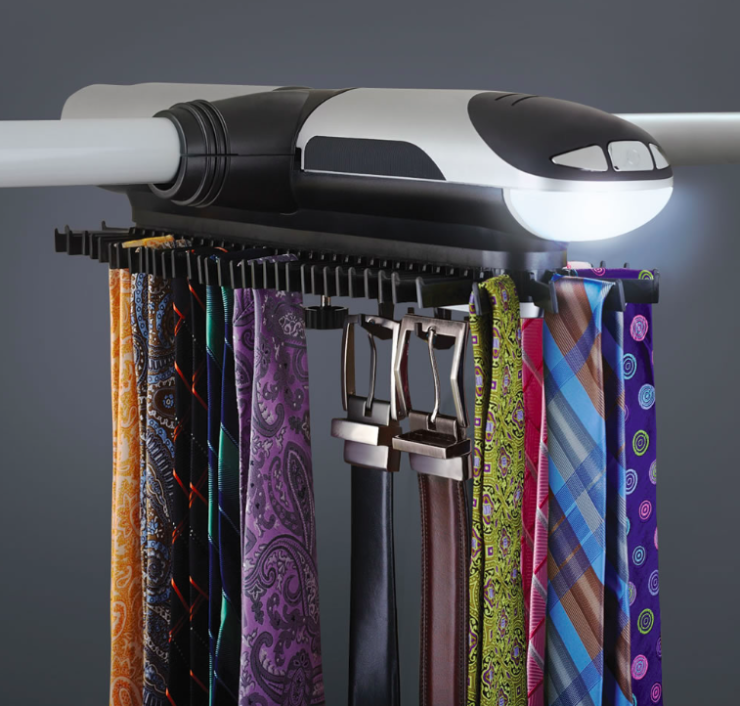 The Motorized Tie Rack Will Make You Look Richer Than You Are | OhGizmo! DIY Heisenberg Paper Snowflake? DIY Heisenberg Paper Snowflake! By Yulia Kluyko on 12/23/14 • Leave a comment! You could keep your ties in a heap, like most guys we know do. Or you could get the Motorized Tie Rack, and be ‘that guy’. You know, the one who calls you over to his bedroom, excited to show off his latest gadget? And we have to say, this would looks pretty interesting to a specific demographic; we’re thinking recent graduate, less than one year at a new office job, and with enough disposable income to purchase a completely unnecessary, but sort of cool little gadget for the home. This rack accommodates 72 ties, and 8 belts. The LEDs stay on for 10 seconds after the rack stops moving, to give you some time to find your way around in a dark closet. It’s all of $49.